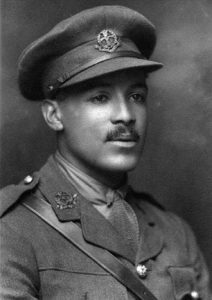 If you study World War One and are a follower of football then the name Walter Tull should be instantly recognisable to you. If not then here is his story. Walter Tull’s father was a carpenter from Barbados in the West Indies who came to England in the 1880’s and married a local woman. Adversity was no stranger to Walter being of mixed race and at the age of ten things became worse when both his mother and father died. From then on Walter and his brother Edward were brought up in a Methodist Orphanage in Bethnal Green, East London. Excelling at football Walter Tull joined Tottenham Hotspur in the summer of 1909 and went on the club’s closed season tour of South America where Walter played his first senior games in Argentina and Uraguay. His home league debut was against the then FA Cup holders Manchester United in front of a crown exceeding 30,000. His skill and form promised a bright future but at Bristol City in October of 1909 he suffered racial abuse. Throughout the wicked chants Tull remained composed and turned in an excellent performance. 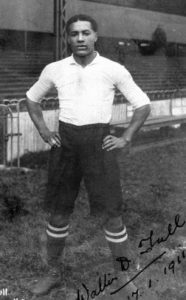 Despite his good form, and undoubtedly through racial pressure, Walter Tull was dropped and found it difficult to get a run of games in the first team. In 1911 Walter Tull accepted a transfer to Northampton Town and it is here that he built his career playing the majority of his 111 first team appearances. 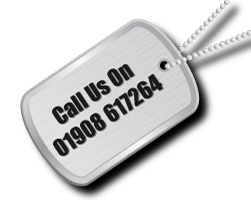 When war broke out in 1914 Walter volunteered for the Football Battalion which was part of the 17th Middlesex Regiment; effectively a Pals Battalion which was made up of over 120 professional soldiers. He went on to fight in many fierce battles including the Somme in 1916. At the time military rule excluded black soldiers from being promoted to command positions for fear that white soldiers would not wish to be led into battle by them or for that matter fight beside them. 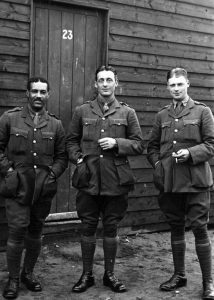 However, Walter bucked this trend and rose through the ranks eventually being commissioned as a Second Lieutenant in May 1917 and thus being Britain’s first black combat officer. Walter went on to fight in Italy and was mentioned in dispatches before transferring back to France. In March 1918 at the age of 29 Walter was killed leading his men in an attack to break through the German lines at Favreuil in the Somme Valley. His men desperately tried to retrieve his body but were beaten back by heavy machine gun fire. 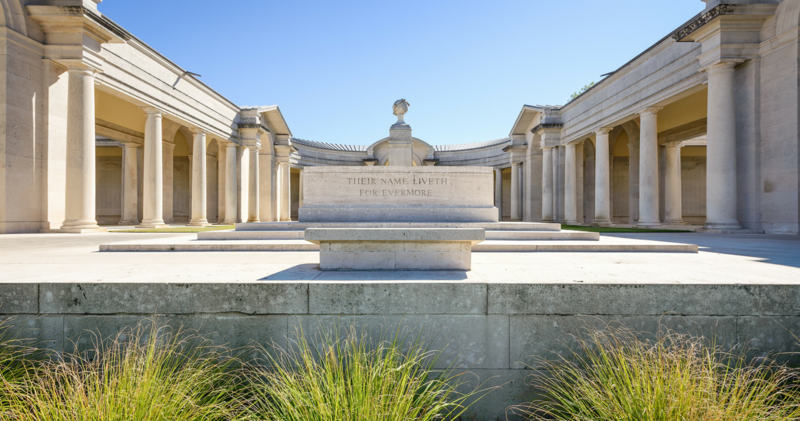 Walter is today remembered on the Arras Memorial in France which is visited regularly by Rifleman Tours on our guided battlefield tours. Walter’s officer colleagues wrote to his family and mentioned that he had been recommended for the Military Medal. But this was an award that was never forthcoming. The reason for this is a mystery. Perhaps the commendations somehow got misplaced or more than likely that the bureaucrats refused it because he should never have been commissioned as an officer in the first place as it was against Army regulations. A campaign to get Walter Tull awarded this medal posthumously is underway and hopefully common sense will prevail and this deserving medal will be awarded. Walter I am sure would more than likely have preferred a League Champion or FA Cup winners medal and he might have achieved this had the war not come along and cut short such a promising career. 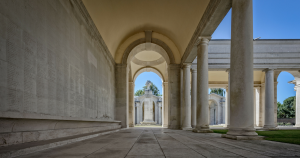 The Arras memorial commemorates nearly 35,000 soldiers of the British, South African and New Zealand forces with no known grave. 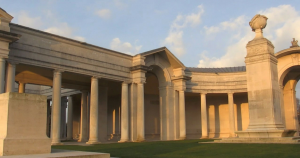 Most of those remembered on the Memorial were killed in the Battle of Arras, fought between 9 April and 16 May 1917.